1. Do you support ENTECH-REM’s proposal to build a garbage incinerator in Port Hope? No, I do not support the proposal. 2. Has your position on the proposed incinerator changed over time? If so, why? No, I have never been in favour of the proposal for our municipality. 3. On July 29 2014, Port Hope council voted unanimously against rezoning and official plan amendments to allow ENTECH-REM to build a garbage incinerator in Port Hope. ENTECH-REM is now appealing this decision to the Ontario Municipal Board (OMB). If elected, will you support a full defense of council’s July 29 decision before the OMB? Yes, I will support a strong defense of the decision. 3.a) If yes, what active steps will you take to support Council’s defense at OMB against the ENTECH-REM appeal? I will review the details of this file as a priority and look at the options and costs for a strong defense with Council colleagues, staff and stakeholders. Council will make a decision on how to move ahead based on solid information. 4. Will you support commissioning an independent environmental planner to review the file and prepare a report as part of a strong defense of council’s July 29 decision before the OMB? It is possible as it seems like a sensible option but it is premature for me to make that commitment until I have reviewed the situation and options as Mayor. 5. Beyond ENTECH-REM’s proposal, as councilor/mayor would you support other waste incineration/gasification facilities being built in Port Hope? No, I am not in favour of incineration facilities in Port Hope. 6. Moving forward, how do you think Port Hope can responsibly manage its waste? The first major step is to reduce the volume of waste. Port Hope Councils have dropped the ball and have not done nearly enough to recycle and compost. Much more can be done with new initiatives to reduce the volume which occurred in Hope Township very effectively in the 1990s. It is very important that we get moving to find solutions that are workable and environmentally responsible. I will work cooperatively with the County and other Municipalities to consider various options and new technologies for long-term waste management and bring those forward for public discussion. Thank you for the opportunity to respond to these questions. I too will post these questions and answers on my website. 3.a) If yes, what active step s will you take to support Council’s defence at OMB against the ENTECH -REM appeal? I will be willing to spend all moneys necessary to get the right lawyers and firms to work with an independent environmental planner and review team in order to get the final outcome in our favour. waste incineration/gasification facilities being built in Port Hope? We need to lobby packaging companies to change the way they package their goods, which will quickly reduce the amount of waste created, not only in port hope, but throughout the province. No I do not support the incinerator to be built in Port Hope as I do not think entech-rem actually have the experience needed to do this as at the meeting they could/would not give us answers to the questioned asked. No my position has not changed. Most definitely.I will make darn sure that staff has all the information needed for presentation. Yes because that person will know how to plan our defence against the OMB. No not really because we can come up with other ways to get rid of our waste by more recycling ,composting just to mention a couple of ways. The answer to question#6 is in the answer to #5. Just to add we can look to other places like Markham and find out what they have done for their community. 3.a) If yes, what active steps will you take to support Council’s defence at OMB against the ENTECH-REM appeal? I have already taken the following steps: Written to Lou Rinaldi asking him to apprise the Minister of Municipal Affairs and the Premier herself to fully understand Port Hopes decision. The Cabinet can overturn a decision by the OMB should it be needed. As Mayor, I will immediately introduce an amendment to the Official Plan to ban all forms of solid waste incineration in Port Hope. This will make it clear to the OMB that the ban is broad public policy and not discrimination against any particular corporation. No. I will not support any similar industries of this nature being built in the Municipality of Port Hope. We should look to the example of the City of Markham and their zero waste initiatives for direction. This includes recycling and composting components. I am firm in my opposition to this project. My position has remained the same from the very beginning (July 2012) and my stand becomes increasingly firm in opposing this project. I will absolutely support every avenue of defense and instruct our planning department to vigorously support our decision. I will continue to work with Port Hope Residents 4 Managing Waste Responsibly in their opposition. I support the recommendation to hire and independent environmental planner and legal counsel. Further to this, should we lose at the OMB I will take whatever further legal action it requires to keep this project out of our community. I would not support any waste incineration / gasification facilities anywhere. I feel we need to focus on local recycling and to push the provincial and federal governments to also legislate the packaging industry. We need to work toward increased recycling at all levels and examine the opportunities to do so. We should consult with proven experts such as Claudia Marsales from Markham Ontario and as far afield as areas such as California whose mandate is to have zero waste disposal by 2020. I would support an INDEPENDENT planner and an expert lawyer to defend ourselves. We, as a community have voiced our concerns and we are not in support of ENTECH-REM. None of us know how waste disposal technology will change in the future. We should always explore alternatives and keep an open mind. The ENTECH-REM proposal was a single sourced solution. I do not believe alternative solutions were explored. We as a community have made the decision not to proceed with their proposal. The decision was, in my mind, a good one. Firstly, I am only talking about managing our own waste, not bringing any other communities waste here. I would explore the technologies been used around the world. Recycling has a lot of appeal but is it realistic? How much of current recycling is finding its way into our dump sites? 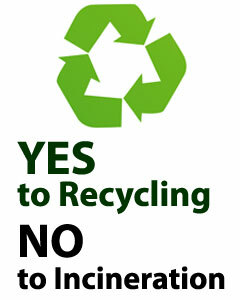 We need to really step up our recycling efforts and divert as much waste as possible away from landfill. The waste problem is not unique to Port Hope. Let’s examine how other communities are handling this problem so that we don’t have to re invent the wheel ourselves. No and have voted no. No. The LLRW clean-up is quite enough for our community. Steps have already been taken by decision of Council to seek an independent environmental planner and appropriate legal to prepare our defence. Yes – This step has already decided on. Work closely with the County who manages waste for Northumberland. We really need to recycle more materials and stay on top of this issue. Adam McCue from the County is working closely with County Council. As Councillors we can make sure we attend his updating sessions and the Mayor will sit on County Council and therefore have a vote in this important issue. NO. I never did and never will. There are too many issues at play here. Given the health issues, stigma, endless trucks with garbage and a company whose agenda and business dealings are somewhat suspect, this is not an appropriate business. YES. Such an action is without question. It will be necessary to properly prepare a defence that will have strong points and clarity before the OMB Members. All elements that pertain to the proponent’s application must be reviewed with arguments that will counter REM’s claims effectively and aggressively. We should be using all parties who have expressed their opposition to REM and make sure they are included in the “formal” part of the defence. We should all be acting in concert and not as independent entities. YES. This will be necessary given the original document produced by the Port Hope Planner. In the beginning I had researched incinerating garbage and saw it as a viable way to reduce garbage. Incinerating garbage is not a new concept and seems to work well in Europe. After the unanimous vote the citizens of ward 1 and ward 2 have decided they do not want this to happen. I feel that should be the end of the subject! The citizens of our town do not want the incinerator so it should be a no go! I feel we will now have to arm ourselves with a independent study of our own. We can work to lobby the provincial government to support the cause. Brainstorming with the public to set a new recourse. Only if it was supported unanimously. We will have to brainstorm and find better ways to recycle. We will have to look at towns around the same demographics as ours to research new and innovative ways to turn our waste around. It has always been NO! I do not have enough information at my disposal to provide a valid response to this question at this time. No, I do not support burning garbage as a solution to waste management issues nor do I believe that low temperature incineration is safe. As a retired pharmacist, I know that outdated drugs and pathological waste must be burned at 1,000 degrees Celsius or higher in order to reduce complex chemicals to atoms rather than emit toxic free radicals. No, I was never in favour of the Entech REM proposal; I did not voice my objections publicly because PHR4MWR stepped forward to champion opposition and did a fine job. The Planning Charette held yesterday engaged many residents, staff, stakeholders and consultants in modifying Port Hope’s Official Plan concerning the employment lands in Wesleyville. This modification is necessary to prevent future proponents of industries with large ecological footprints from considering sites in Wesleyville. As well, I believe that the Municipality of Port Hope has adequate inventory of serviced employment lands in Ward 1 so the Employment designation should be removed from Wesleyville. Urgent completion of documentation of Wesleyville’s unique cultural, natural and archaeological heritage features by volunteer residents with appropriate skills and expertise would also assist in defending against the Entech REM appeal. No, I would not. Waste management is the responsibility of Northumberland County. We need green bins and kitchen waste collection for centralized composting; more than half of current landfill waste is compostable! And more opportunities to take yard waste to collection sites or curbside collection more often than twice a year would avoid the common practice of residents dumping leaves and brush along roadsides and rivers. There’s a high tech incinerator being built in Clarington less than 20 km west of Port Hope. If we must burn garbage, first we need to re-direct as much as possible to recycling and composting then only burn what remains (in Clarington) if there’s no other solution. Educate residents about reducing packaging, provide green bins for centralized composting, increase recycling (including styrofoam) then share information about how waste diversion to landfill is decreasing. NB Some residents burn their garbage rather than pay for tags in Ward 1 and Ward 2. Education about burning only wood & paper products in wood-burning stoves & fireplaces whether inside or outside would be useful as I can detect the odour of burning plastics on occasion, especially during winter. Yes, but I am not well enough informed at this point to know how to do this. That will come. My reasons for not wanting an incinerator in our Municipality have nothing to do with the environmental integrity of such an enterprise. To commission yet another report would be money spent for an argument that means little to my position. Given the questions about REM I suspect this question is to address waste management on the large scale, rather than day-to-day waste management and reduction. In either case waste reduction, and on-going education with respect to waste reduction, composting and recycling are vital. I agree in principal with the concept of energy from waste. I just don’t support the addition of such a facility to our municipality. Your committee should realize that, as a current council member and with the proponent now taking this to the OMB , I cannot comment on this. Sincerely David Turck. Councillor Ward 1.